Amy brought me a box of cabbage and asked me to make, “you know, like some slaw.” I looked with trepidation at the jar of mayonnaise in the refrigerator. i HATE mayonnaise. i hate mayonnaise, but i love tahini. so i made a variation on this recipe. 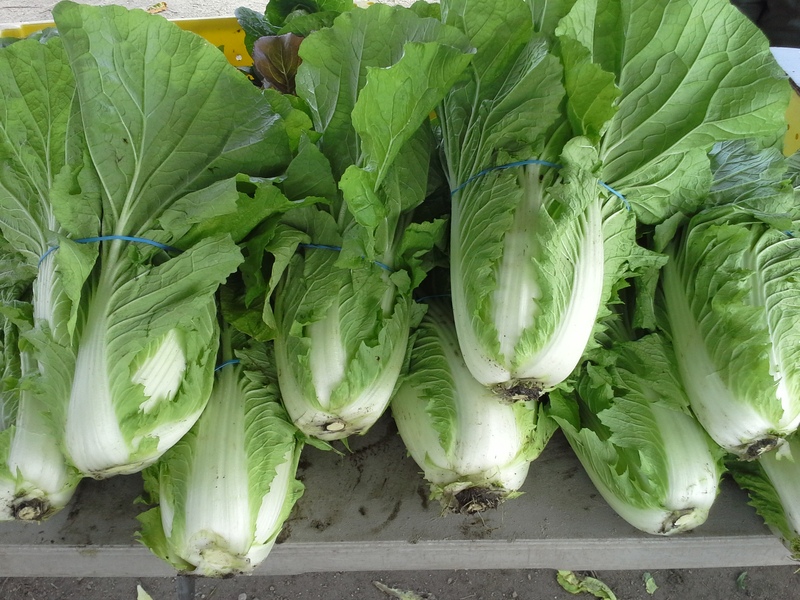 salad: finely chop a large napa cabbage. layer with chopped or grated root vegetables (turnips, radishes, beets, carrots, etc), chopped green onions, and other vegetables as you wish. i was going to add some apple slices, but i cut my thumb open and had to go to CVS for butterfly bandages and when i came back i was in no state to chop, dice, or grate, so my salad ended here. « This week’s share plus recipes!